Seasons come and go—seasons of weather, seasons of life, and seasons of ministry. Watching God work is, in many ways, like watching the seasons change over time. He uses many different people and many different strategies to accomplish His purposes in different times. Yet through all the change, God is the same and the goal remains—to glorify and bring others to Him. The family of Child Evangelism Fellowship® (CEF®) in the USA has recently witnessed the end of one season and the start of another. For the past eight years, USA Ministries has been under the leadership of Vice President Moises Esteves. However, the time has come for a new season to begin. 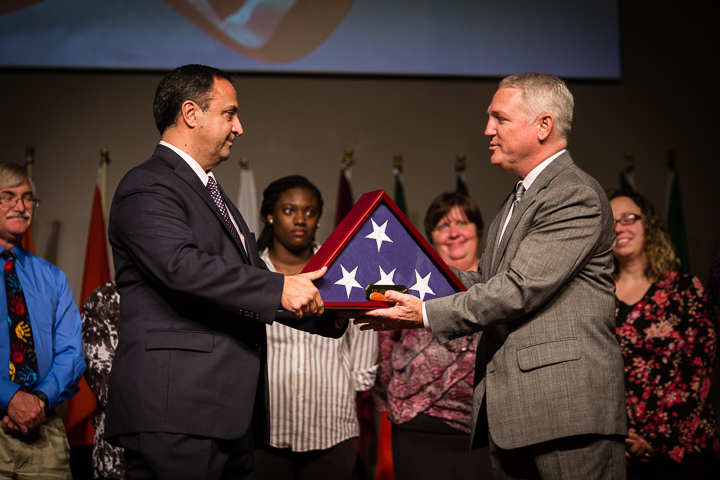 On Monday, October 10, a commissioning ceremony was held in which Moises passed the baton of national directorship to Ron Tant, former state director of Georgia. Seasons come and seasons go but God always remains the same. He always works His purposes in the lives of His people. A new season has begun for the ministry of CEF in the USA. It will be exciting to see how God accomplishes His work through Moises Esteves and Ron Tant in the days ahead.